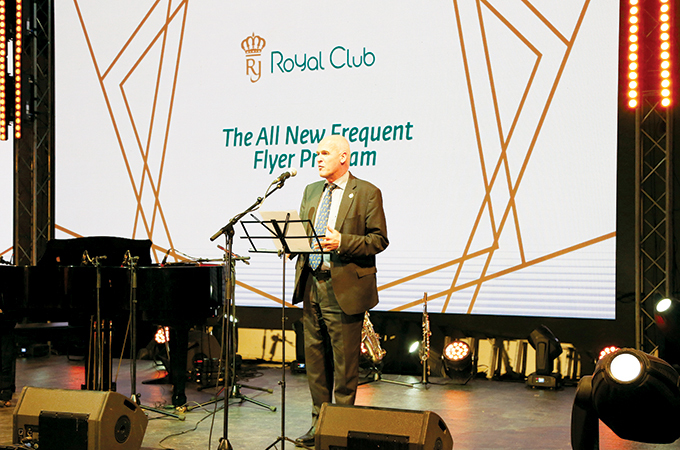 Royal Club is Royal Jordanian’s all-new frequent flyer programme and Platinum Hawk, Gold Sparrow, Silver Jay and Bronze Sunbird are the new names of Royal Club membership tiers, giving the project a more Jordanian identity. Royal Club offers members generous award miles earnings that can triple based on members' purchase behaviour. Moreover, award miles will not expire as long as a member's account is active for 18 months continuously. Staying active has become very simple and can be achieved through various means: earning miles through flight activities with RJ or any of its one world partners, earning miles through everyday activities with any of RJ's numerous non-airline partners, redeeming miles for an award ticket, cabin upgrade, excess baggage, etc. ), as well as buying, gifting, transferring and donating miles. Top-tier members –Platinum Hawk and Gold Sparrow – are entitled to exclusive privileges and benefits in recognition of their continued support and loyalty to RJ throughout the years. Depending on the membership tier, some added benefits include complimentary upgrades on RJ flights, guaranteed economy seats on fully booked flights and nominating a gold-tier partner (every Platinum Hawk member can nominate a gold partner). Other compelling benefits of Royal Club are: lounge access and excess baggage allowance, in addition to priority in check-ins, upgrades, waitlists, boarding and baggage handling. Through Royal Club, Royal Jordanian also enhances the members’ online experience and services as now, members can purchase, transfer, gift and donate miles online. Members can now purchase miles either online or through RJ offices to top up their accounts with needed award miles to qualify for the award of their choice, or they can present them to another member as a gift by crediting the purchased miles to the chosen member’s account. Moreover, members can now transfer miles easily between any two accounts any time, whether online or offline, for a set transfer fee. Royal Club members can also use their miles to help the fight against cancer by donating their miles to King Hussein Cancer Foundation and Center.